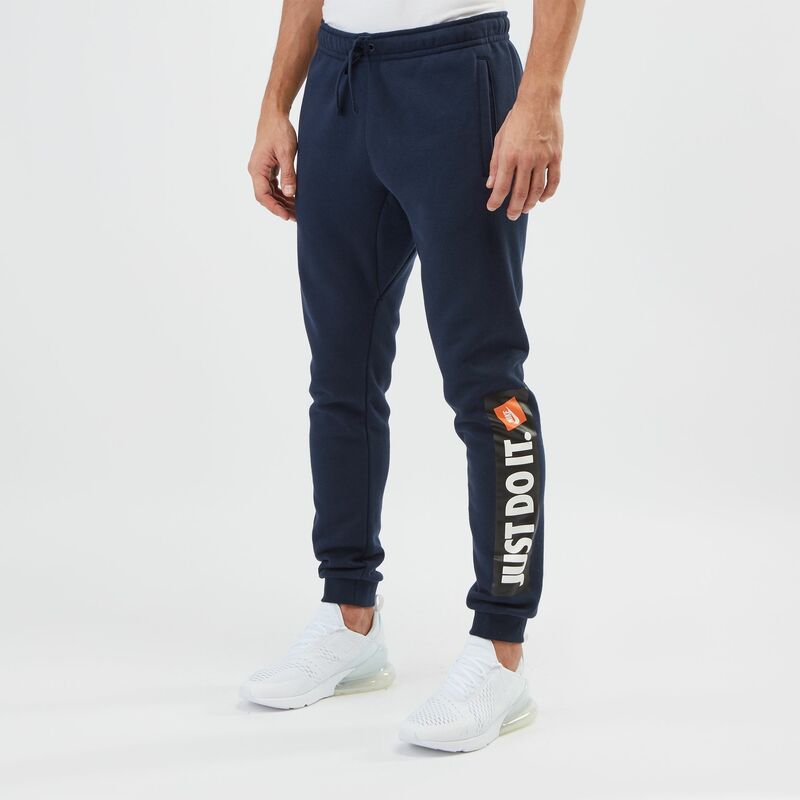 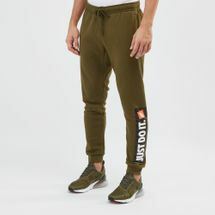 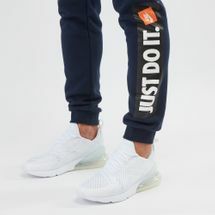 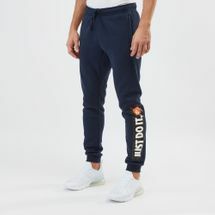 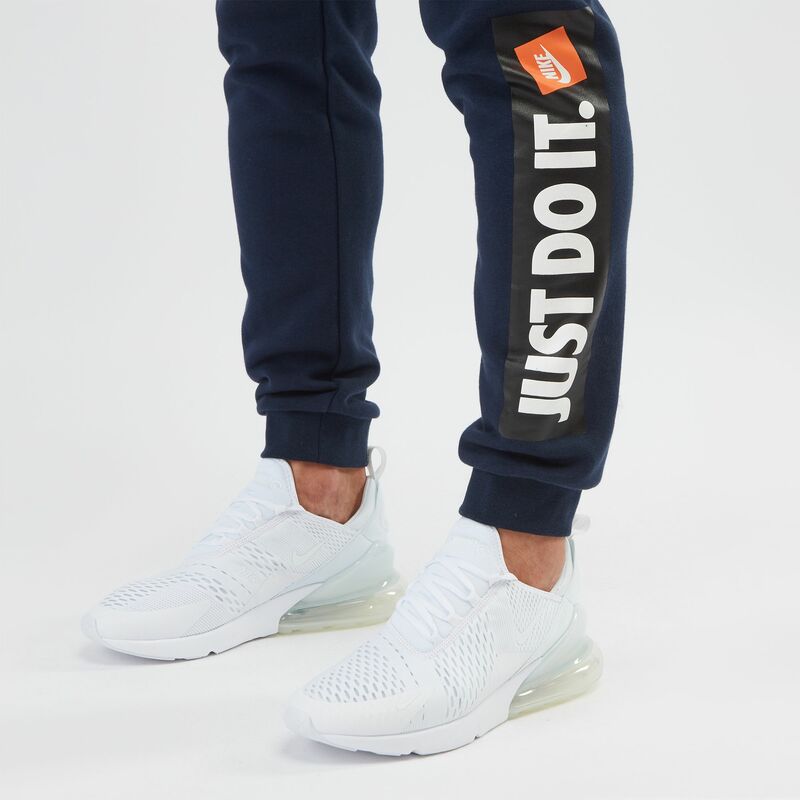 The cotton-poly blend of the Nike Sportswear Fleece Jogger Pant for men keeps you cosy and comfy on your days off. 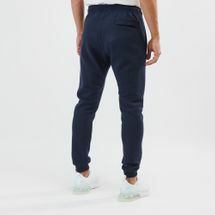 The brushed fleece fabric makes it smooth to the touch while ribbed cuffs provide incredible warmth. 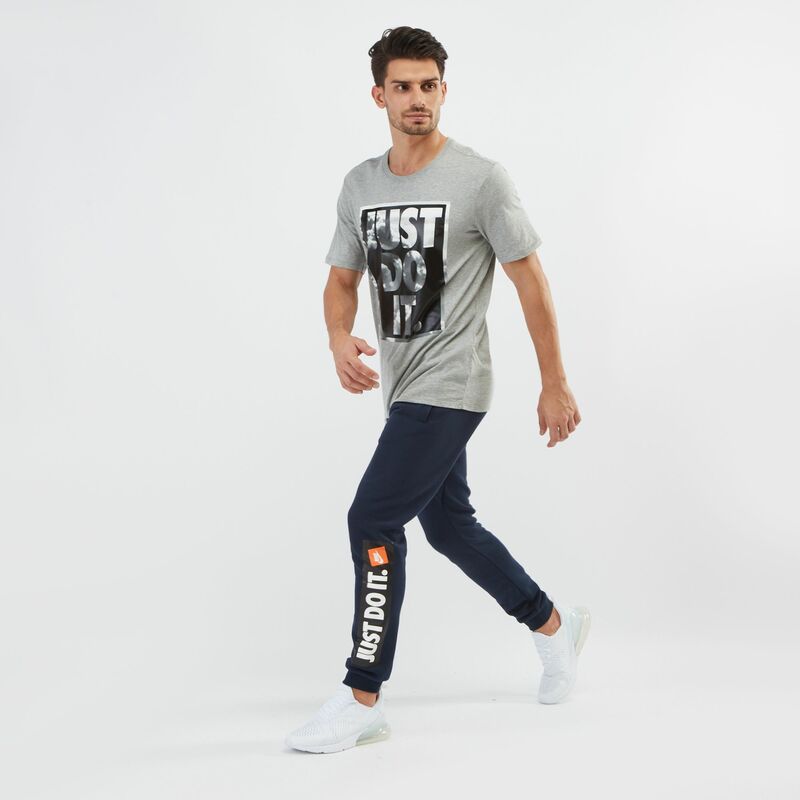 The Just Do It tagline gives you everyday motivation as you hustle in the daily grind.